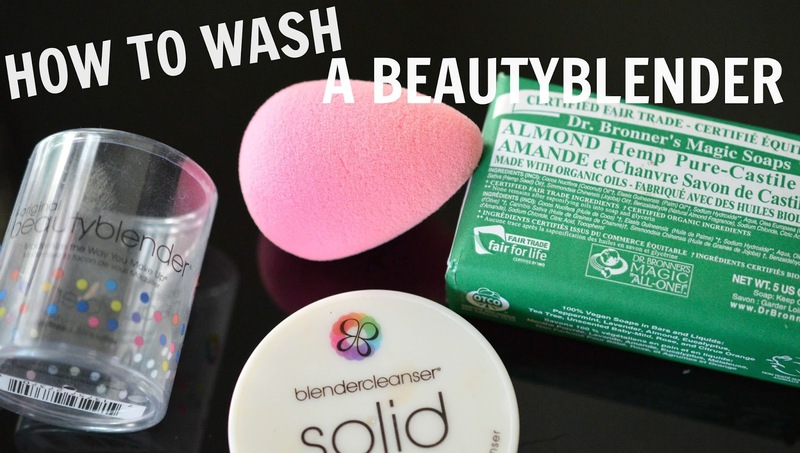 I initially bought the BeautyBlender cleanser, in bar form, and really liked how it worked to clean my sponge. After cringing at the price tag once I finished my first bar ($22 CAD), I started to search for some more affordable options. My beloved Dr. Bronners Magic Soap seems to work great on both makeup brushes and sponges, so that is what I have been using. This BeautyBlender sponge has lasted me 3 years and I am so happy with the condition that it's in. Despite the $28 CAD price tag, only purchasing one sponge and keeping it clean is an economical choice for my makeup bag. This sponge also gives a flawless finish when applying my favourite Revlon ColorStay Whipped Creme foundation, along with any concealer or cream blush. I also enjoy how it's handcrafted in the USA, as opposed to in a far-off land overseas.